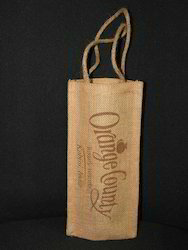 We are offer Wine Bag as Multi Partitioned bag made out of 100% cotton. The product can be customized to various required size with print options.The bag Material is 100% Cotton (Greige Stage). Since its made out of cotton, its eco-friendly product and cheaper too. For 1 or 2 bottles. Custom work welcome. Personalization options available. We are the manufacturer and exporter of superior quality Cotton Wine Bags. 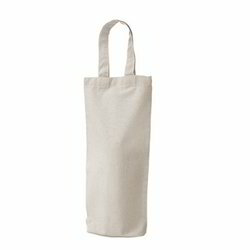 The most sought after range of cotton wine bags offered by us are being manufactured by making use of finest grade cotton. We source the raw materials from reliable vendor base of the industry. Thus, these bags are very durable in nature. Cotton wine bag with draw string.